← #CabernetDay – the Adelaide contingent plays its part! On a clear sunny spring day I drove up into the Adelaide Hills to interview a very interesting man I had met a couple of weeks earlier at an artisan winemaker tasting in McLaren Vale, where he was presenting his Ochota Barrels grenache and syrah – premium boutique wines. This man is Taras Ochota and his story was so interesting I had to share! Taras is a friendly, relaxed, open Aussie winemaker of Ukrainian descent. But he is much more than that too – he has worked as a winemaker in diverse regions around the globe, in terms of culture, climate, language, grape variety and working conditions. I sat through the interview with my mouth open and eyebrows raised, wondering how one man could fit so much into his not-so-many years! What had caught my attention was the reference to being a winemaker in Sweden – not the most obvious country in which to make wine. I had to know the background and to understand more about the Swedish wine market. Taras has always had an interest in wine and his first job after completing a business degree was working in vineyards, eventually becoming a vineyard manager in the Adelaide Hills. He studied wine science by distance learning at Charles Sturt University in Wagga Wagga and then completed a postgraduate oenology degree at the University of Adelaide. He also worked as a cellar hand in wineries in South Australia and California for several years, travelling back and forth doing vintages in each hemisphere. His winemaker break came when he got the assistant winemaker role at Two Hands Wines in the Barossa Valley, where he stayed for about three years. Then by chance Taras saw an advertisement in The Australian for a ‘world winemaker’ who was ‘young’, ‘dynamic’, and who would ‘make wines from all over the world and based in Northern Europe’. Intriguing and mysterious, he applied. The interviews were in Adelaide for two positions – winemaker and chief winemaker. The chief winemaker role went to Scott Rawlinson who was the Serafino winemaker at that time and had won the Bushing King title in 2007. Great wines, I have some in my cellar! Taras got the winemaker role and the Aussie team was set! Why Aussies? The company owner had a belief that Australian winemakers have the technical knowhow, the can-do attitude and the flexibility to experiment and try new things, and make the styles that he wanted. Taras, Scott and their wives arrived in Stockholm in May 2008. They were working for the large Swedish wine-importing company Oenoforos. As part of this role they had to assess wines from all over the world – Europe, South Africa, Australia, etc. – to see which wines to import. They travelled to many wineries and gave them protocols of what wine they wanted, and how they wanted it made. They were involved in vineyard selection right through to making the style of wine to their specifications . Scott’s main role was to set up the facility in southern Sweden – the Nordic Sea Winery – to process the wine and to take on more of the winemaking processes – the company’s owner wanted to bring as many of the processes to Sweden as possible. He wanted more control, so that the quality could be maximised, prices kept down for the Swedish consumers, and more of the value added happening within the country. Scott was in charge of sourcing and setting up equipment for bottling, packaging, making and storing wine at the facility. Wines were sent from the originating country in various ways, mostly in tankers driven across country (taking around three to five days from France, Spain and Italy), or if there was no rush, by sea in flexitank which was effectively a 24,000 litre bag-in-box in a shipping container (taking about four weeks). The company selected the minimum processes that the satellite country would do. The facility in Sweden would then finish and bottle the wine. In general, the reds would have gone through malolactic fermentation in the satellite winery and sent in bulk to Sweden. White wines had usually just finished fermentation so they did the cold stabilisation in Sweden and the satellite country would have already done the protein stabilisation. Some wine was also imported finished and simply bottled in Sweden, such as that from Australia. 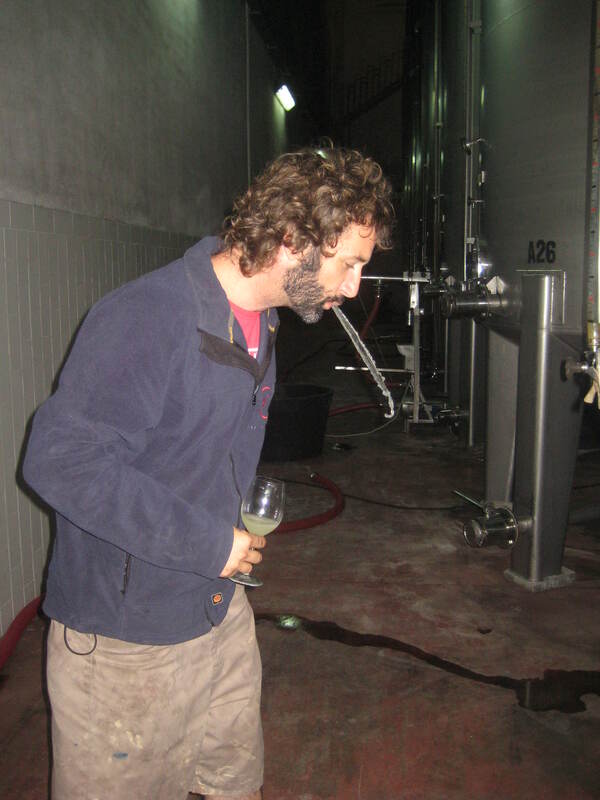 As well as the quality control and selection of imported wines in Sweden, Taras had a flying winemaker role, visiting wineries and vineyards in Italy to have the wine made for the company. As an example, one of his jobs was to spend time in a seaside village in southern Italy, where he was involved in the modification of a run-down cantina (winery). The idea was to make Italian wines in the more ‘New World’ fruit forward way, suiting the Scandinavian market. He would regularly travel from his home base in southern Sweden on the Baltic Sea by train to Copenhagen, then fly to different parts of Italy to check or source wine for the company’s many products. 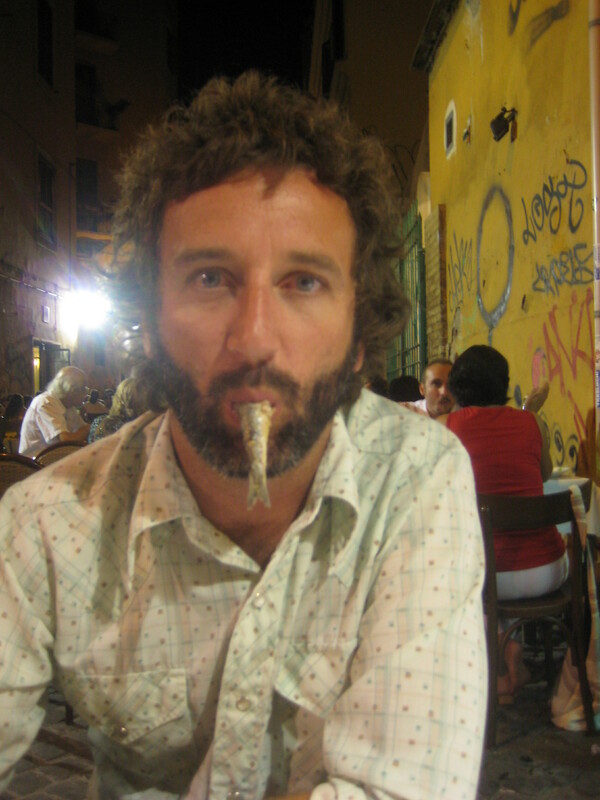 Taras concentrated mostly on the regions of Puglia, Sicily and Abruzzo, with varieties such as primitivo, negroamaro, nero d’avola, montepulciano and sangiovese (reds), and cattaratto, fiano and grecanico (whites). 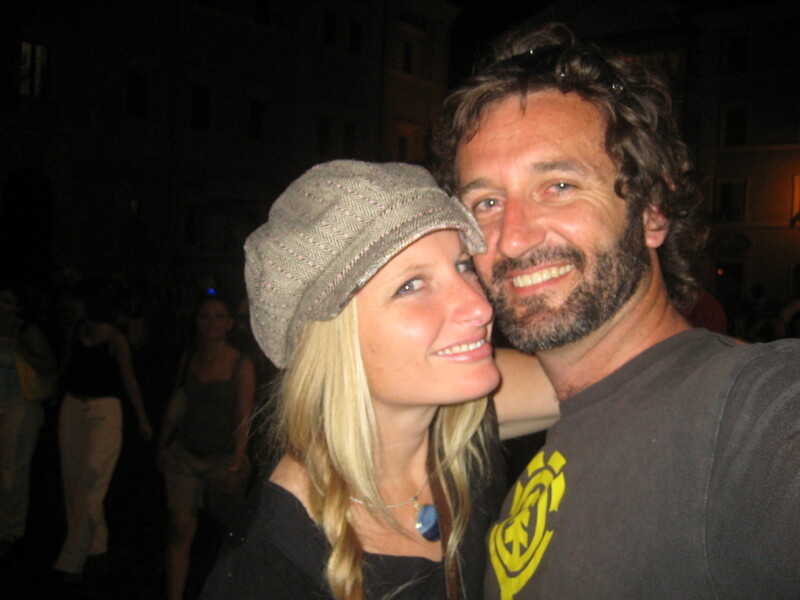 He was the only Australian in these Italian towns he stayed in and soon picked up the language (with the help of pictures and often animated actions), while his wife worked for the Nordic Sea Winery and picked up Swedish! Amber also spent considerable time in Italy working for the company in laboratory and cellar hand roles. They were also joined by select Australian cellarhands who were flown over to help with the vintage period. In Sweden, all liquor sales (except with less than 3.5% alcohol) are through the government monopoly distributor Systembolaget, which literally means the ‘system company’. It is government owned and run. Alcoholic beverages may not be sold to anyone aged under 20 and opening hours are strictly adhered to – generally Monday to Friday 10am to 6pm and Saturday 10am to 2pm. Nothing is refrigerated as no product may be seen to be favoured – if one thing was refrigerated, then everything should be available as such (as appropriate). There are no discounts or deals. The retail monopoly of Sweden is accepted by the EU. (There is also a retail monopoly in Finland, Norway and Iceland.) With a population of 9 million, this makes Systembolaget one of the world’s largest buyers of wine and spirits. The on-trade market is not controlled by Systembolaget, so any licensed importer can sell to restaurants. In the on-trade market, sales of beer dominate. According to the Oenoforos website, in 2005 Systembolaget sold 143 million litres of wine in 2005. It also states that Sweden was an early adopter of Australian wine back in the late 1980s – well spotted Systembolaget! Some statistics on the Swedish wine market are shown in the table below for your interest, sourced from the Global Wine Markets statistical compendium produced by Kym Anderson at the University of Adelaide, with a little help from yours truly. The first number is for 2009 and the number in brackets is for 2000 to give an idea of the direction that consumption went in the last decade. It is interesting to note that Sweden’s wine consumption has been rising in a similar fashion to the UK and Australia, and is at similar levels, at 21.21 litres per capita in 2009. Meanwhile consumption has fallen sharply in France, albeit to a level still nearly double that of the other countries shown – besides Italy – France and Italy are clearly wine-based cultures as opposed to beer. Sweden’s consumption of beer and spirits is low compared to the countries shown. Beer features most strongly for Germany, followed by Australia, UK and US. Beer consumption has notably fallen in Sweden, the UK and Germany in favour of wine. With 9 million people and a per capita consumption of 21.21 litres that’s a lot of wine! Sweden produces a tiny amount of wine but basically imports all (99%) of the wine consumed. Oenoforos is onto something! Furthermore, Oenoforos is operating in a highly taxed environment, so it has a challenge to provide wine to Swedish consumers at competitive prices. Alcohol products in Sweden are taxed on alcohol content not on price. Examples of wine excise rates provided in Global Wine Markets are for a bottle of commercial premium wine (A$7.50 per litre) being taxed at 50%, super premium wine (A$20 per litre) at 19%, and at the non-premium end of the scale (A$2.50 per litre), wine taxes are a whopping 151% (2008 figures). French syrah, cabernet sauvignon, viognier and chardonnay; New Zealand gewürztraminer, sauvignon blanc, pinot noir, pinot gris and riesling; Italian chardonnay, primitivo, sangiovese, canaiolo, merlot, nebbiolo and grecanico; Spanish grenache, tempranillo, bobal, airen and macabeo; Greek moscofilero and cabernet sauvignon; South African chenin blanc, merlot and cabernet sauvignon; German riesling, pinot noir and scheurebe; and yes – Australian shiraz! Cheers in Swedish is skål, as most people would know. The word means bowl and comes from the sharing of a drinking vessel around the table. You can say skål to congratulate someone, wish them well, welcome them, or to celebrate something like a birthday or wedding, just like cheers. Importantly, you look into the eyes of all of the people you are toasting to, one at a time and after drinking you look into their eyes again and then put down your glass. I was taught that this was the tradition with ‘cheers’ too and am quietly disappointed when people look away or do not drink after saying cheers. Follow through I say and do it properly! So skål to my readers! Finally, skål to Taras for a peek into a very exciting life. He is a fabulous advertisement for Australian winemaking – both skills and attitude. He is also a great reflection of the high standard of Australian winemaking education including the University of Adelaide. The Wine2030 network loves to share this kind of success story. We are lucky here in South Australia to be keeping Taras around for now as he has the position as the contract winemaker for Revenir Winemaking Pty Ltd (the former Nepenthe winery in Lenswood) and continues to produce his highly regarded premium Ochota Barrels wines. This entry was posted in Barossa wine, Chardonnay, McLaren Vale wine, New World wine, Old World Wine, South Australian wine, Wine events, Wine news, Wine varietals and blends, Wine2030, Winemaking, wine appreciation and viticulture courses and tagged Australian wine, flying winemaker, Ochota Barrels, Oenoforos, Systembolaget, University of Adelaide, Wine, wine in Sweden, Wine2030, winemaking. Bookmark the permalink. 3 Responses to Meet the Australian flying Swedish-Italian winemaker in the hills! We in Sweden were lucky to have Taras and Amber around. They made lovey wine and when they were aound, many people felt life was more relaxed and fun. Very cool people! We hope they’ll be back one day.